Money Farm, Gambian based agri-business platform has won the Seedstars Banjul pitch event. Founded by Modou N’jie who is the CEO and founder, the platform provides Africans in the diaspora and other investors around the world with potential Agri-investment opportunities in Africa. 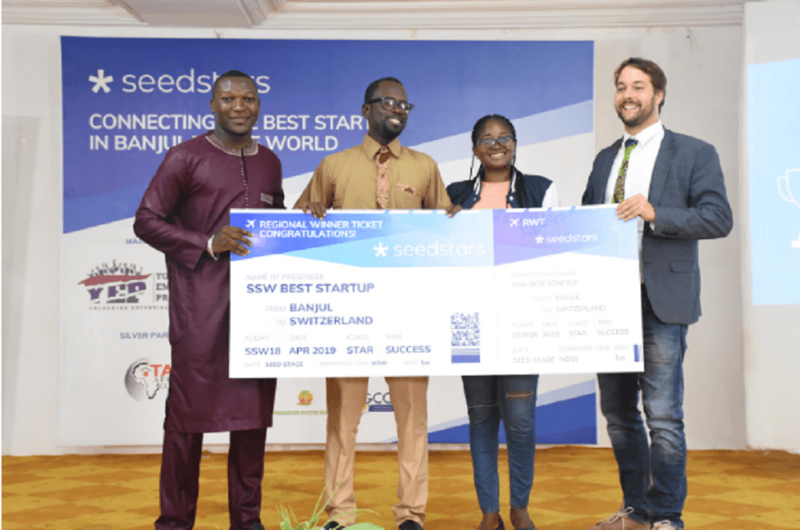 By winning Banjul edition of Seedstars, Money Farm will now represent Gambia at the Seedstars Africa summit in Tanzania this December and the global summit in Lausanne, Switzerland in April, 2019. The start-up stands a chance to win up to $1-million in funding at the global summit. Kameko came second for its Ryde Africa Taxi mobility solution while Nesthet was placed third for its mobile clinic service. Other six start-ups that pitched at Seedstars Banjul were: Assutech, Educare, GamDiary, Ping Money, Tecqil and Wonma. Seedstars World is a part of the Swiss group Seedstars and runs the global startup competition covering over 65 emerging and developing markets. Meet Mustafa, Ghanaian Teenager Who Created a Model to Successfully Diagnose and Predict Breast Cancer.